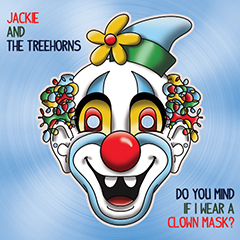 The band Jackie and The Treehorns (disclaimer: I am a member) have released the first episode of their new official comic strip “The Adventures of Jackie and The Treehorns.” Each strip will be based off a song in their catalog. In the debut story the band encounters an alien while on tour. Only this time, it is the band that does the abducting. You can click on the image to view the strip in a web page, which gives you a higher resolution imagery.